Vitamin C is, in my opinion, essential for treating dullness. I like to use Vit. C based skincare each spring because after the cold season my skin is usually in bad shape. 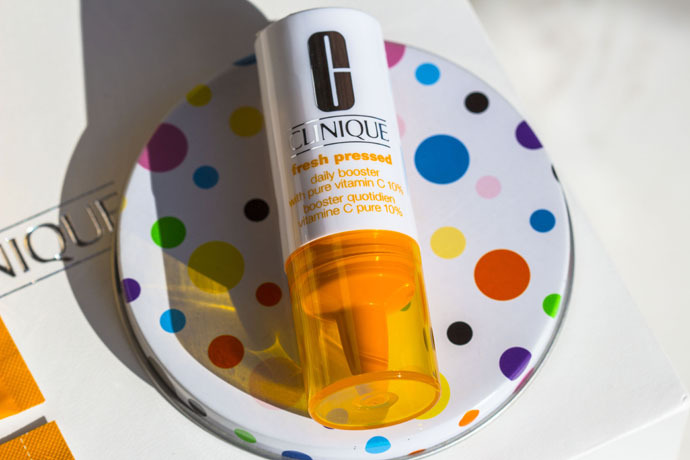 I was very excited to try Clinique‘s new range called Fresh Pressed which offers an intensive treatment based on Vitamin C.
The Daily Booster, a set of 4 small bottles (€82,70/ set), each one of them containing pure vitamin C 10% (the quantity inside one bottle contains as much vitamin C as inside 12 oranges). The system is truly efficient, with visible results after the very first use. 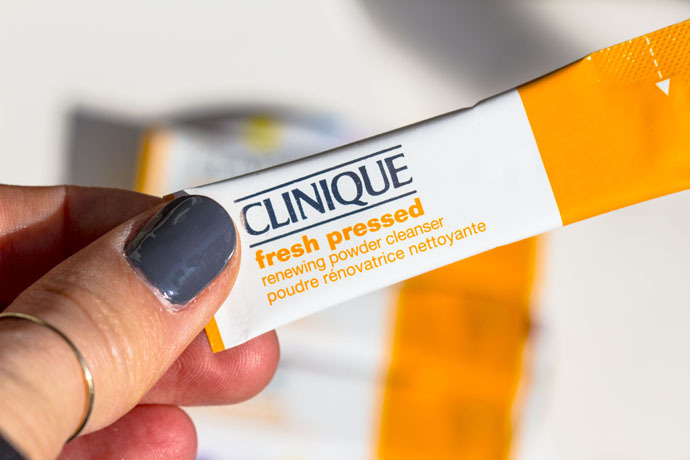 Clinique | Fresh Pressed Renewing Powder Cleanser. This product is genius, it’s my favourite and I’ll continue to use it every day. Each small package contains a powder, which, after contact with water, transforms in a light foam, perfect for cleansing the face. It’s fragrance-free and it feels just like silk. It refines the pores, refreshes and brightens the skin. 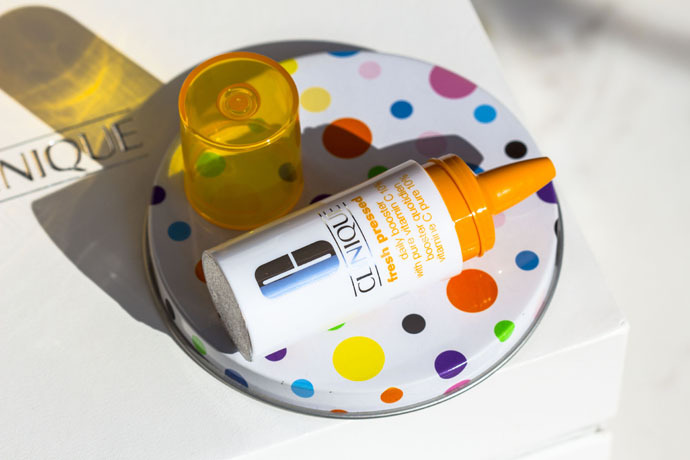 It doesn’t dehydrate and it really acts like an energy boost for the face. 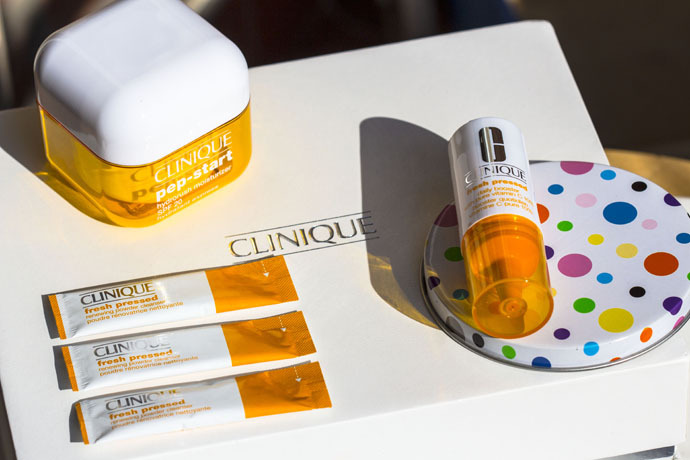 Clinique | Fresh Pressed Daily Booster is to be mixed in our favourite face cream, but keep in mind that the cream must contain SPF (the higher, the better). 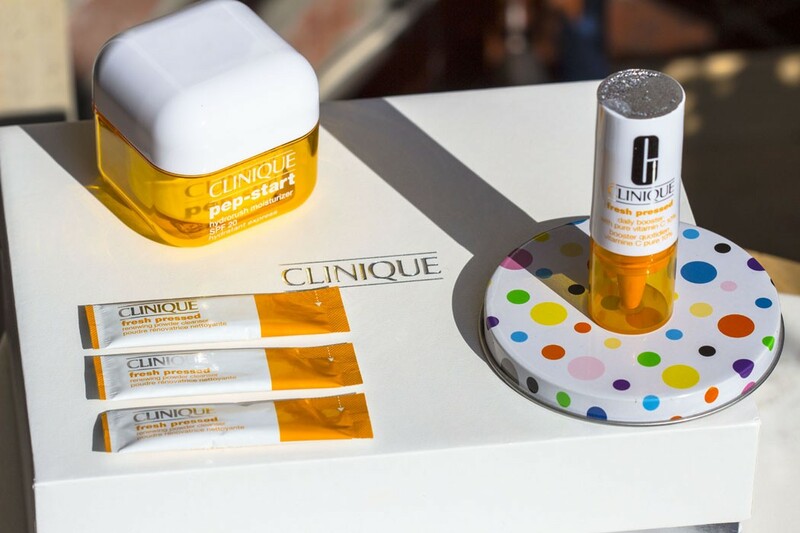 I like to use it together with the Pep-Start Hydrorush Moisturizer SPF 20 which has a lovely texture: super light, yet thoroughly moisturising. The Daily Booster system includes 4 bottles. Each bottle must be used for only 7 days and discarded afterwards. It’s a fragrance-fee serum (2 drops to be mixed in a pea of face cream) which offers a beautiful glow to the skin, it smoothes the fine lines and improves the general aspect of the skin. It’s a very powerful product with instant effect. I recommend it to those of you who deal with combination and oily skin. 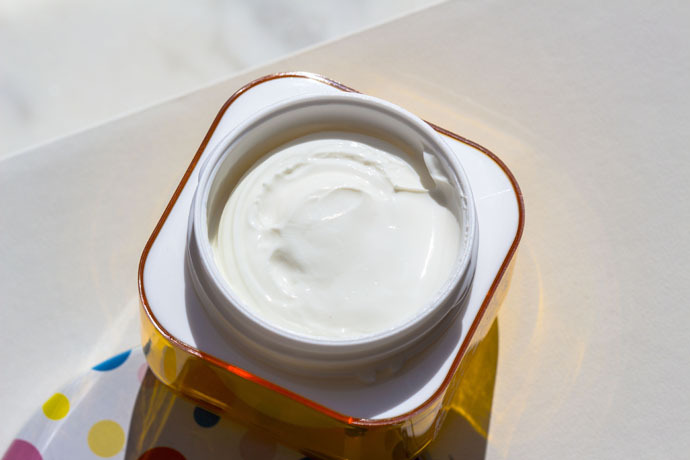 For those of you ladies who deal with dry skin, please keep in mind that the product tends to dehydrate and so you must use a rich cream when you use the Daily Booster. I don’t recommend it to those of you who deal with sensitive skin. 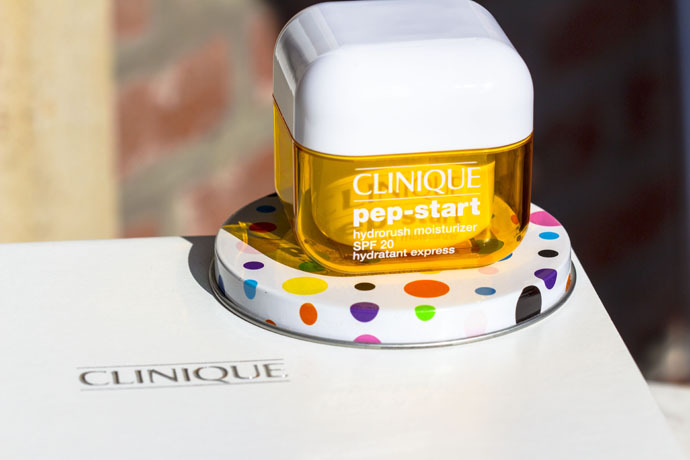 Clinique‘s Fresh Pressed Daily Booster is the most efficient Vitamin C system from everything I personally tried so far. I’ll definitely use it at least once each year. The Fresh Pressed Renewing Powder Cleanser is my favourite cleanser right now, it has everything my skin needs and just a pleasure to use. 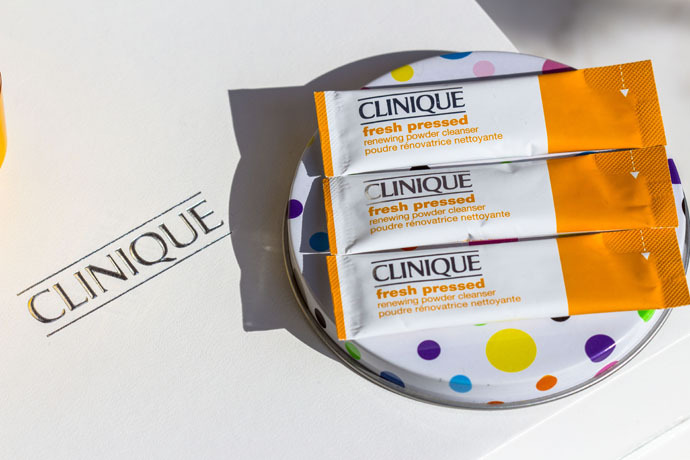 I’m very impressed with the Fresh Pressed range, good job, Clinique! 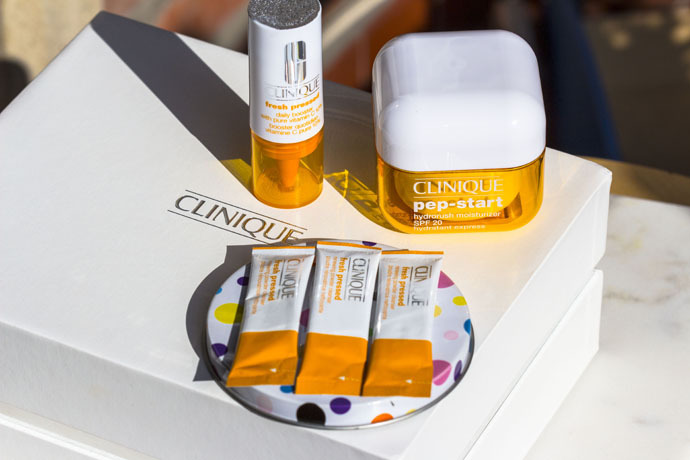 Hello and thank you for sharing these lovely new Clinique products with us. The sachet cleansers are a brilliant idea, I can see myself using these while traveling and favoring them over other cleansers. The great news for my oily skin is that the Vitamin C serum is drying. I am seriously thinking of buying the whole range. Have a lovely weekend!